Benjamin and Ingrid Marie Hertefølger have decided to realize the impossible to embrace the lifestyle of their dreams. After having built a unique all-natural house completely covered by a glass dome on a plot of land in Norway, they've started their incredible journey into sustainable living. It may all seem like some sort of hippie day dream, but it’s fascinating! Hertefølger –Norwegian for “heart followers”– wasn’t always their family name, but they changed it few years ago to reflect their life philosophy. “We have only listened to ourselves and what we wanted to do, we went all in”, said Ingrid. “It doesn’t matter what anyone else thinks, there will always be someone who disagrees and who thinks what I do is wrong,” the mother of four adds. "I believe that the recipe for failure is to try making everybody happy, because it’s not possible.” So instead of worrying about what people may think, the Heart Followers just follow their hearts. The aim of this adventure is for Benjamin and Ingrid to offer their four children a great childhood and to give them the insight they need to manage life on Earth. Instead of spending their time in front of a computer or at a mall, the Hertefølger's kids swing in hammocks, play in the garden, do yoga sessions under sunset, watch Aurora borealis or roam the surrounding forests in search of mythical creatures -the daughter swears she saw a fairy. They surely will grow up with a deep sense of appreciation for nature. The Hertefølgers always knew they wanted to live in an eco-home made of only natural materials -the challenge was to adapt it to the harsh weather conditions of the Arctic Circle. Indeed, life in the Arctic isn't only snowy landscapes, elves in the forest and Santa's secret atelier. It's a constant battle with extreme weather conditions, especially when you live in such a remote place as Sandhorney Island, in north Norway. 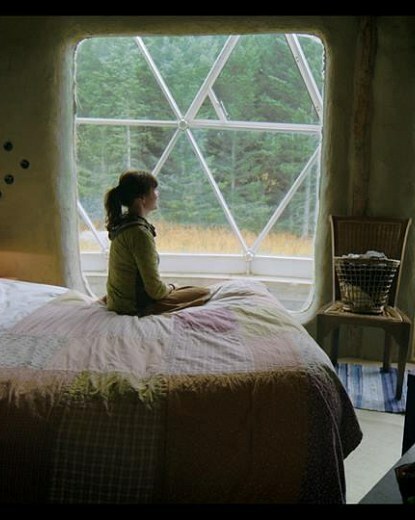 The family managed to beat all the odds and organize a cosy living in a three-story cob house wrapped in a glass dome. It withstands the heavy snowfalls and strong winds, maintains a uniform temperature throughout the year and reduces ultraviolet radiation while acting as a greenhouse for the organic vegetable and fruit garden. How cool is that : they somehow manage to grow apples, cherries, plums, apricots, kiwis, grapes, cucumbers, tomatoes, herbs and melons in an area that doesn't see the sunlight for three months a year! 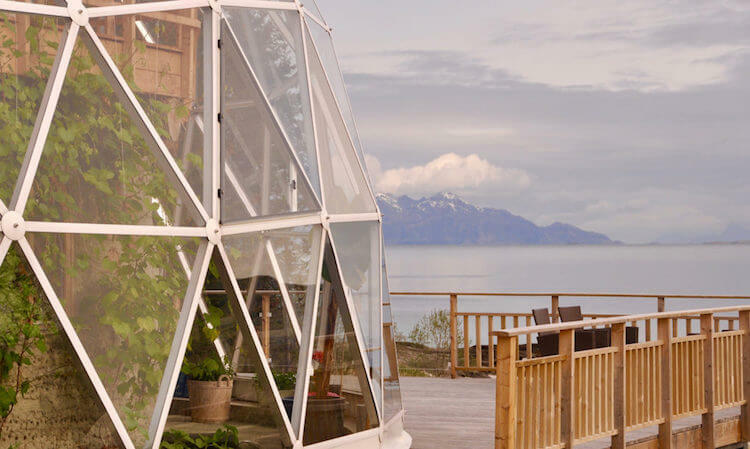 We may not all be able to build our domed natural house in the Arctic Circle –which Norwegian magazine The Nordic Page reports cost the Hertefølger $490,500 to build– but you have to admit their story is an inspirational one. Make sure to watch The Heart Followers documentary below, you won’t regret it! I never thought I would find myself hiking to the center of an active volcano at 2 am in the morning fighting off clouds of suffocating volcanic gasses for the sake of seeing some blue flames... But believe it or not, the unique experience makes it worth it.